Home › Topics › Conservation › New York’s Plum Island to Fetch $1 Billion? The rhetoric keeps ramping up surrounding the future of Plum Island at the eastern edge of Long Island. Two years ago, Homeland Security declared that in advance of shuttering the Plum Island Animal Disease Center in 2023, the entire island would be sold to the public. Donald Trump expressed early interest in buying the 843 acres, which could be worth north of $1 billion on the open market. (Proceeds from the sale will help fund PIADC’s replacement: the National Bio- and Agro-Defense Facility, which is set to open in Kansas in 2021.) Considering the federal government’s legal mandate to sell Plum Island in the next 5-7 years, it’s no surprise that entrepreneurs, environmentalists, and officials at the local, state, and federal levels have begun angling for an advantage. 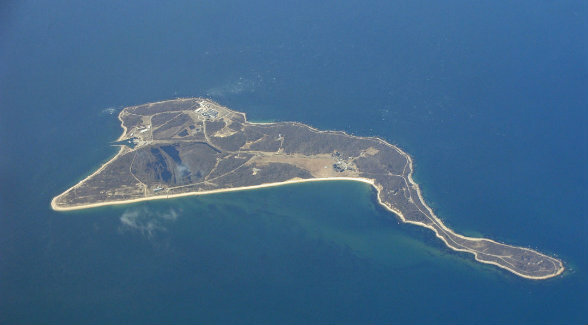 On September 28, the New York State Assembly’s Committee for Environmental Conservation agreed to lobby for the preservation of the pork chop-shaped island. According to various eco-advocates, potential development threatens wild populations of osprey, bank swallow, and painted turtles as well as dozens of other native species.